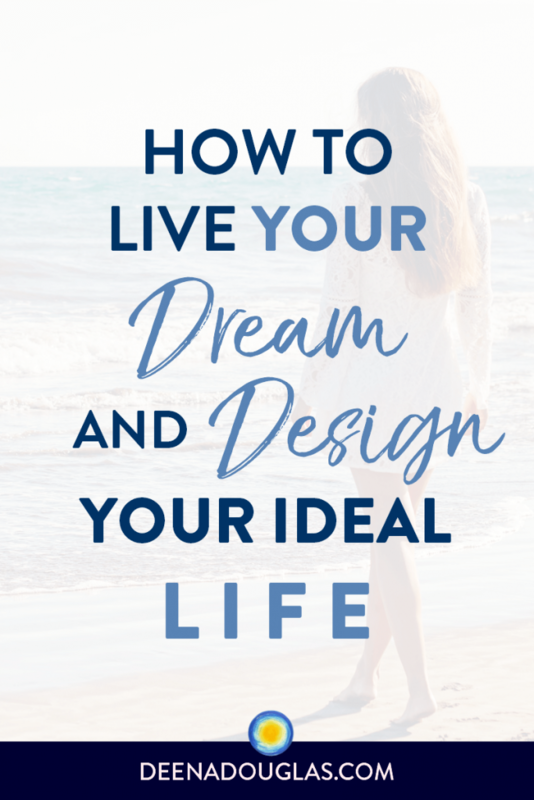 How to Live Your Dream and Design Your Ideal Life! People are always asking me how to create what they want… how do you manifest consciously? We’ve made it more difficult than it really is because we’ve forgotten the truth about who we are. We’ve forgotten that we are connected with Spirit, and creating is the most natural thing in the world for us. 1. Know what your dream is… including all the juicy details! Become crystal clear of your intentions. 2. Fantasize and visualize about your dream life all the time. Live as if it were already so. 3. Polar Opposite Plan: Make a list of what isn’t working in your life now and a list of the polar opposite — new actions to take instead of what hasn’t worked. 4. Don’t over-think things. Trust your intuition and your feelings. 5. Create rituals and routines. Make your daily routines enjoyable… something you look forward to. 6. Be grateful; focus on the positive. Focus on what you want and what you are grateful for in your life now. 7. Implement: When you fantasize and visualize what you want, it gives you a chance to “try on” different realities, and choose the one you really want. Then begin adding things from your fantasy that aren’t in your life at present. 8. Remove the activities, people, places and things that aren’t consistent with your ideal life (that aren’t in your fantasy). 9. Clear your energy: Release the blockages from your energy system that have been keeping you stuck. 10. Feel it into reality: Feel as though you already have what it is you want. Feel how wonderful it is to have and experience this reality. Remind yourself why you want this in your life to help get you into the feeling of enjoying and experiencing your dream. 11. Turn it UP: Do whatever you can to keep your feelings UP, UP, UP! Raising your vibration with positive feelings like love, joy and gratitude will attract high-vibration people, things and experiences into your life. 12 Get support: Create support in groups, friendships, coaching, etc. Surround yourself with positive, supportive, empowering, loving people. You deserve it! 13. Affirm the life you want: Write affirmations for what you want in your life fifteen times each. Say them aloud as you write them. Continue to write once a day for 30 days, or until it feels complete. 14. Let go. You may have heard the expression, “Let go and let God.” We repel our desires because of our attachment. We need to learn to let go of the outcome. Trust that Spirit/God/The Universe will bring that or something even better into your life.